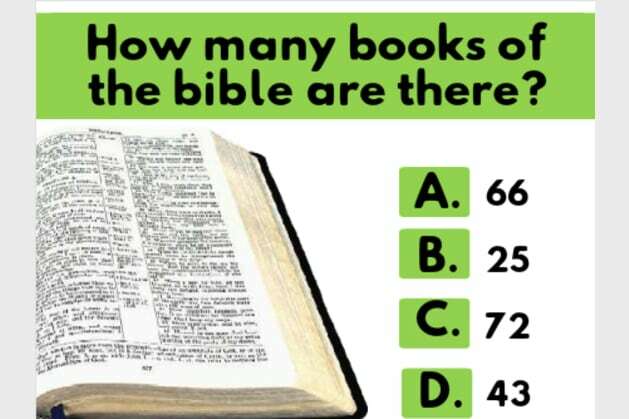 How many books of the Holy Bible are there? Which comes first: The Old Testament or The New Testament? What book of the bible is Jesus born in? Cain killed his brother ______. What's the last book of the bible? What's the 10th book of the bible? What's the 8th book of The New Testament? Who wrote the book of Ecclesiastes? How does God first appear to Moses? Who received The Ten Commandments from God? What's the first book of the bible to hold The Ten Commandments? This prophet was swallowed by a fish in the Old Testament. The Bible is split into _ sections? Pass! Sunday School needs YOU! Fail! Peak your head into Sunday School next Sunday!